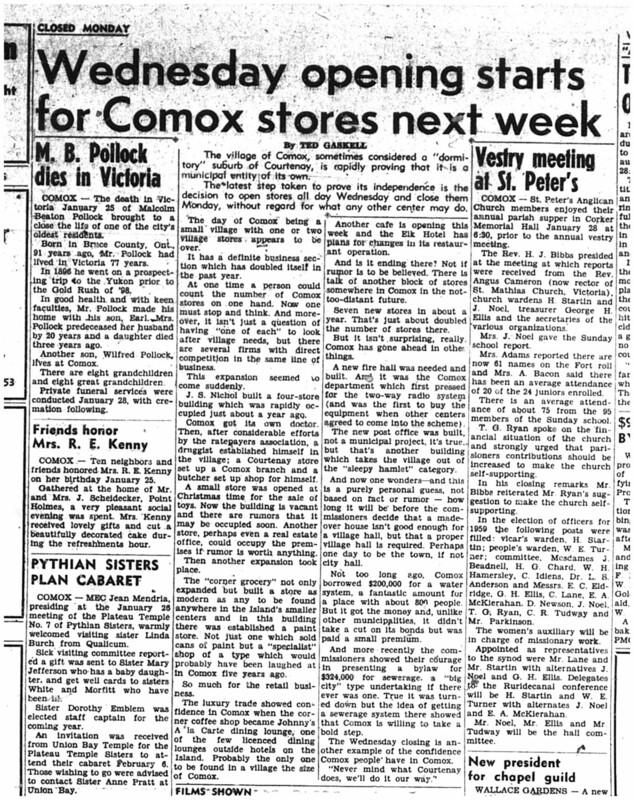 Courtenay’s Court House officially opened on Monday, March 31, 1952. 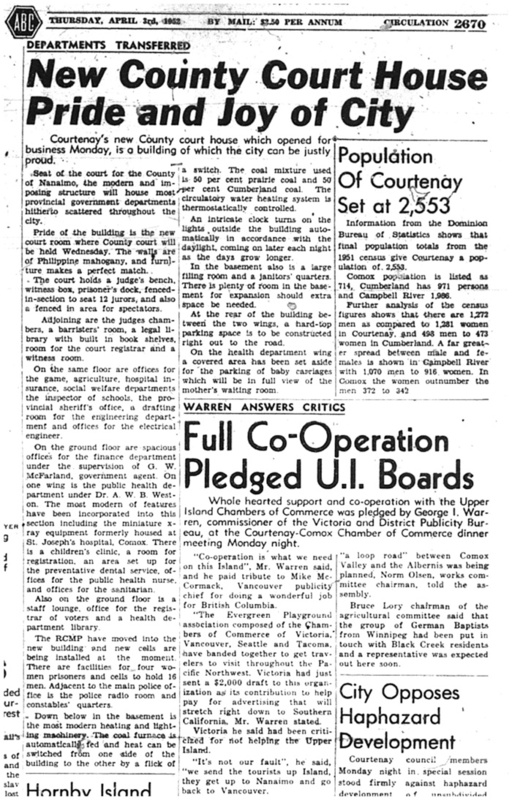 The building housed provincial government departments as well as the RCMP. 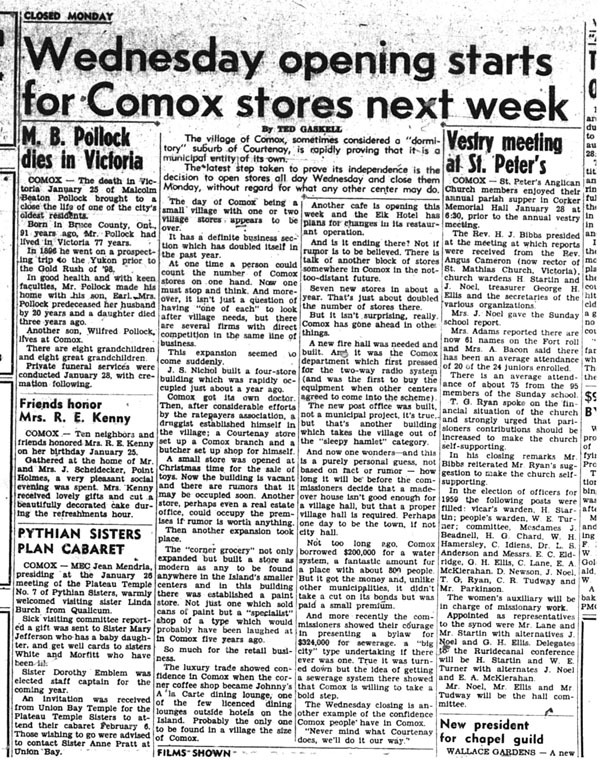 This article from the April 3, 1952 Comox District Free Press gives all the details right down to the coal mixture used for heating (that’s 50% Cumberland coal, in case you were wondering). 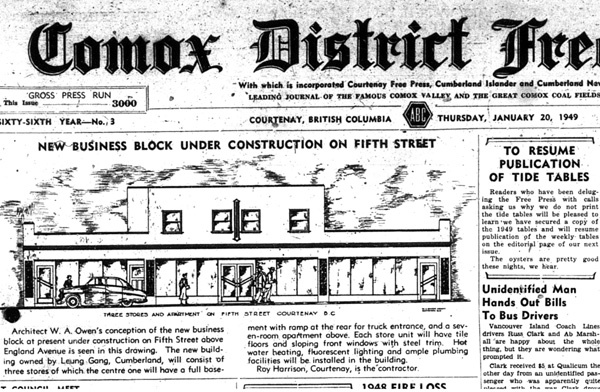 The Leung’s building was under construction 70 years ago as noted in the January 20, 1949 Comox District Free Press. 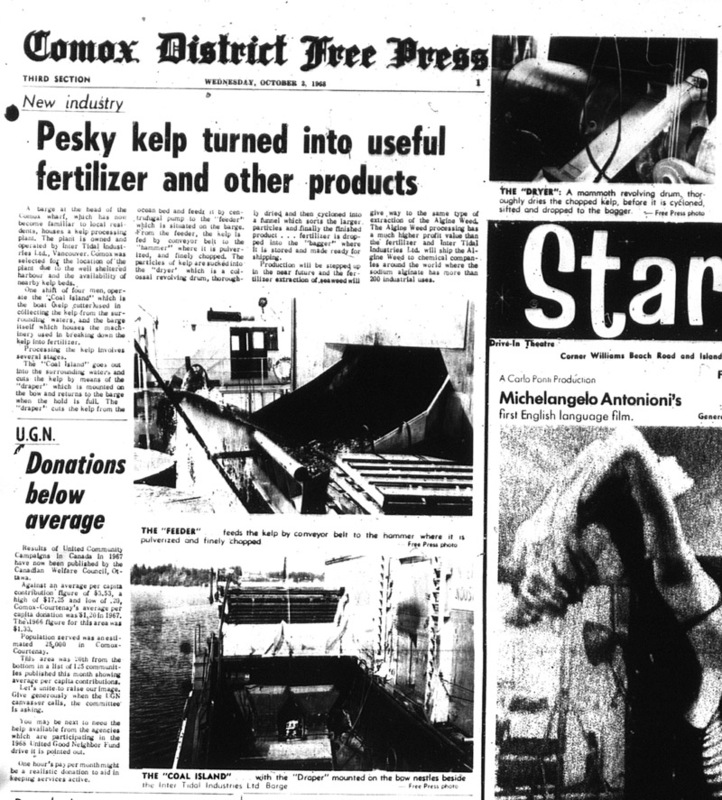 Did you know that Comox used to boast a kelp processing “plant”? 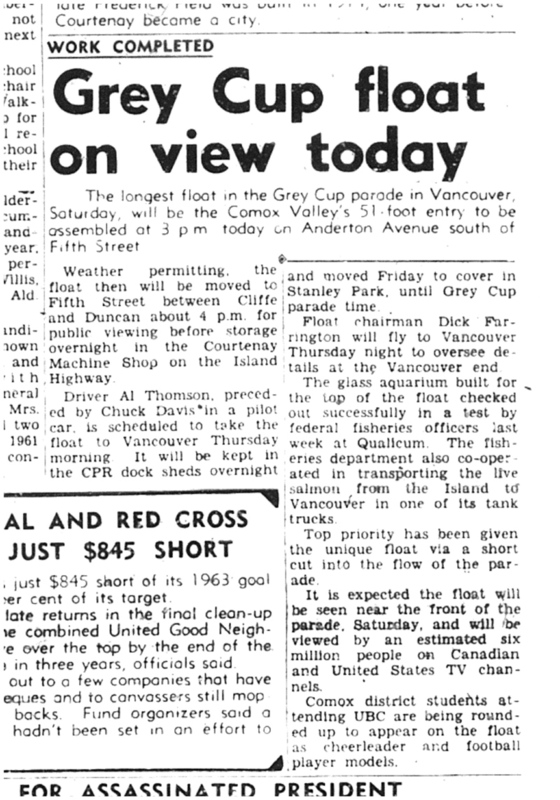 Check out this article from the Comox District Free Press of October 3, 1968. 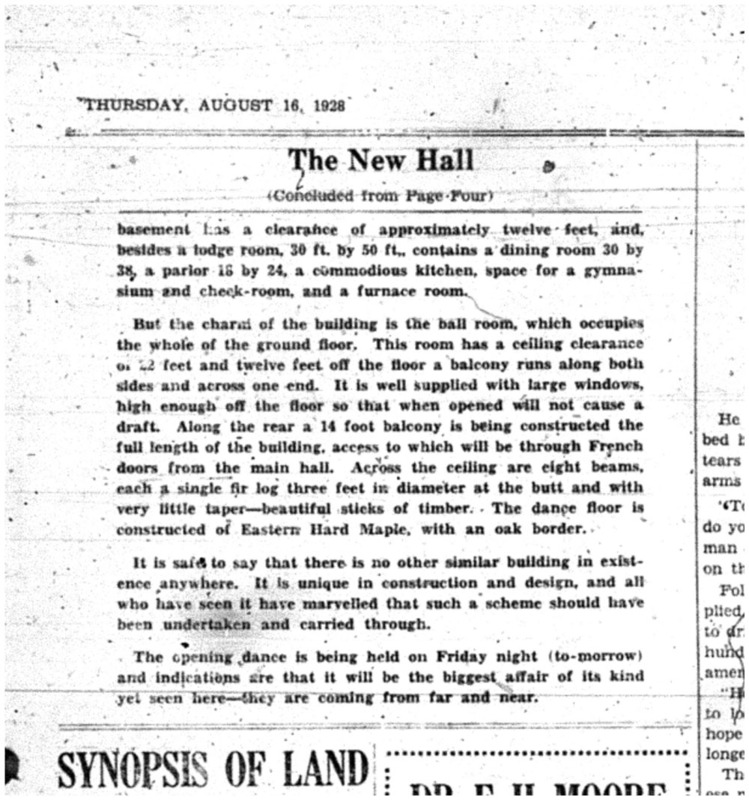 She’s reached another milestone…80 years since the inaugural dance was held in the Native Sons Hall. 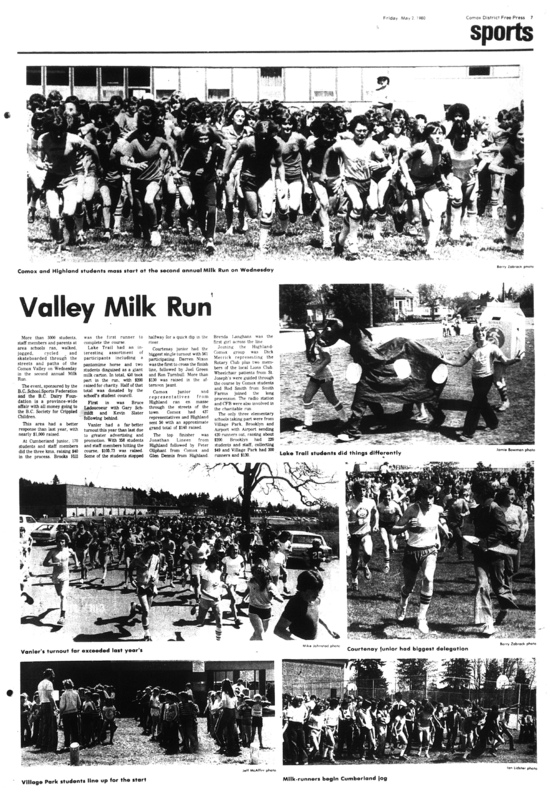 What a night that must have been! 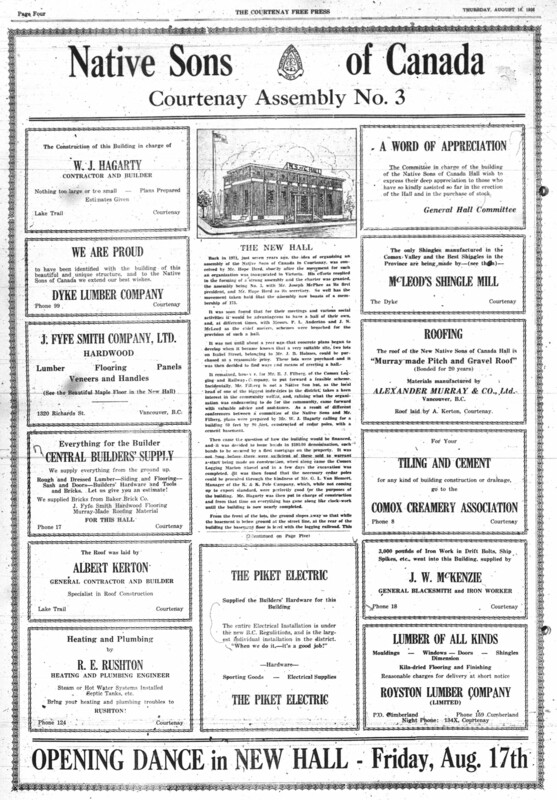 Movers, shakers and contractors from near and far are all listed in this article from the Courtenay Free Press of August 15, 1928.